Take the handrail band’s straight line segment, use a steel roll ruler to measure. Take the length that measure L¬1…… Ln the accumulate number is the whole length. The whole length can according the tight or loose’s condition to adjust the length. Take for the sake of the escalator rubber arm-rest that insure the reasonable usage, good function in keeping, extension service life, please the positive match in large customer, must notice below items: A, the escalator makes or uses the unit, should choose to take with the arm-rest of the same model number in hand ladder. 1, should defend the packing breakage, keep insulation rain form pouring, prohibit to be kept shooting by sunlight. 2, the arm-rest takes and should keep to place levelly, prohibiting a layer after layer heap put, combining but the? Save the period best not over two months, keep arm-rest from taking to transform seriously but result in to adjust to try the difficulty. 3, the arm-rest takes to forbid with the oil, sour, the alkali waits the product contact with the keenness. 4, the arm-rest takes the temputer saves the environment is 15-35, degree of humidity 60%-80% scope is proper. 1, the arm-rest takes to tore down the packing empress, toeing adopt the work pack the measure, guaranteeing the rubber surface with the not summit to harm in framework in melts. 2, install to adjust before trying, to examine to take with arm-rest to get in touch with rough degree in enclosure and parallel degree of gearing, keep arm-rest from taking machine harm. 3, the escalator install to adjust after trying, the arm-rest takes the not proper gearing over tight, the movement must roll over to rub inside, preventing to have fever with break. 4, the arm-rest takes the gearing adjusts to try after completing, should take the arm-rest to dismantle to unload, recover the plastics thin tie up, the both ends turn radius is little less than 300 millimeters of, cannot take the arm-rest to bring to the stretch the appearance the bottom on the escalator long hours park. 5, escalator at use the unit install to adjust to try behind, if do not use temporarily, must circulate escalator few minutes every week, avoid the armrest takes part long hours stagnate to make a turn in the escalator both ends the place to dint concentrate but creation cracked. 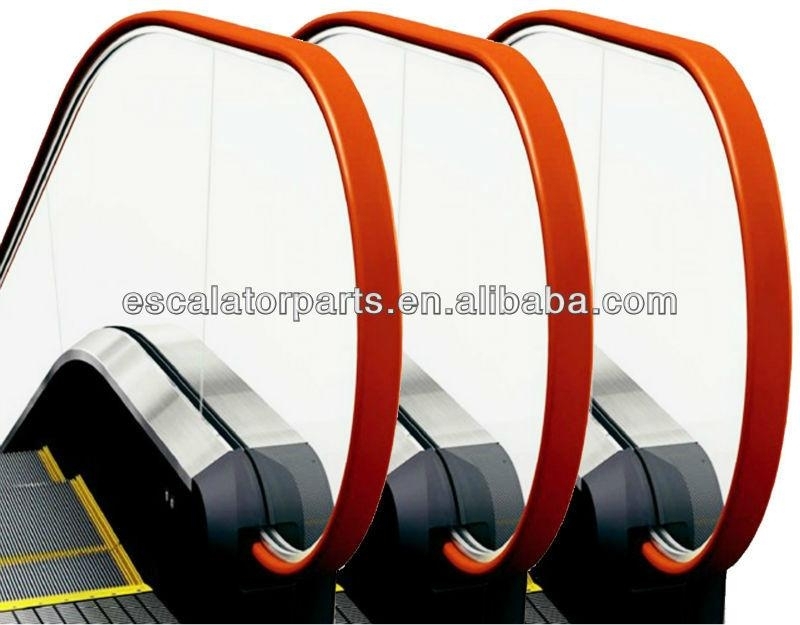 AF-HITACHI,D1=80,d=40,h=27.5,Suitable for EX-TYPE escalator model for hitachi,Color:Black or red is very popular.